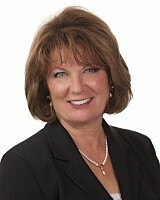 Luanne is a CARTUS Relocation Specialist and received her NAR Green designation. She’s an enthusiastic supporter of people moving to her area (Pocatello, Idaho), but assures us that she can help anyone relocating anywhere around the United States through a natonwide referral program. With her busy schedule (over 10 children and 30+ grandchildren), she still takes time to keep up with the latest real estate tips, programs and marketing. She says she’s a bit non-techy, but she makes up for whatever she doesn’t know online with her outgoing personality and excellent customer relationship skills! Keep Luanne in mind the next time you make your move! Welcome to Nudge Village Luanne!